Is an electric toothbrush worth the added expense? Electric toothbrushes have been shown to make a difference in gum and tooth health. Use of either a rotating head or sonic brush results in significant improvement in oral health versus use of a manual brush. In fact, Dr. Mondale feels there is no one thing a patient can do at home that makes as big of a difference as using an electric toothbrush regularly. 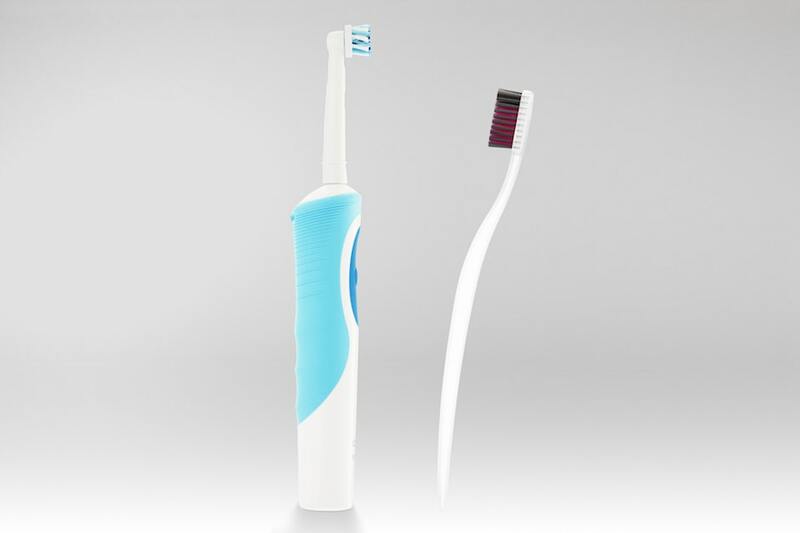 Most brands of electric toothbrushes offer several tiers of options. The fancier the options, the more expensive the brush. Currently the top tier brushes will sync with your phone and track your brushing performance. For people who want to improve their brushing habits and are motivated by this type of feedback, the phone app can be great. For most people, a basic model with a two-minute timer is all that is needed. If you’re a little heavy handed in your brushing, upgrading to a model with a pressure sensor will be worth every penny. Of course manual toothbrushes are still effective and are especially nice to have around for traveling or when you are on the go. Whatever brush you choose just be sure to be brushing at least 2 times a day for 2 minutes! < Previous article Can Diet Improve Your Gums? > Next article Is Vaping Safe?